The next meeting of the Boston Reefers' Society will be on: Sunday, February 17th, noon to 3:00pm. Any other ideas? Message @aresangel with anything you want to share! 1:30-2:15 Coral Viewer, Anemone Fragging, More tank drilling if you want! 2:00-3:00 Food, raffle, Clean Up, Frag Swapping. Post frags for trades here. 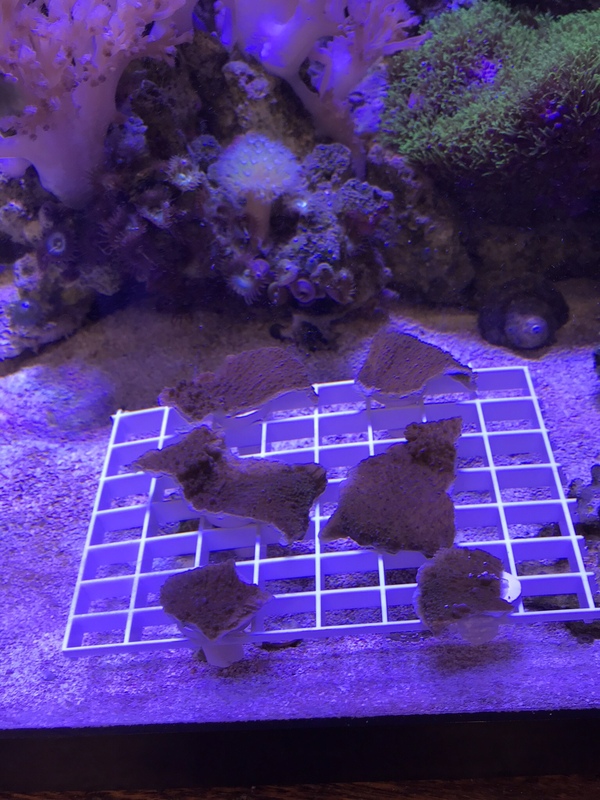 For anyone interested in setting up a frag tank, please reach out to any BOD Member. There will be many great raffle prizes offered up to support the club by our sponsors and members. Items will be posted as we get closer to the meeting date. **AS USUAL, THERE WILL BE A KIDS ACTIVITY TABLE** Message @aresangel if you have suggestions to add to the kids box. A week and a half away until our next meeting! We will have a frag table set up by @Elmafioso52988 so check out his thread and get your orders in! I am excited to see all of you and can’t wait! Just put in an order for the raffle. I will also be putting a couple large chunks of blue ice paly that we are going to cut off my rock so come one come all! I have some puple monti I am looking to trade. Frag transporter came in today. Here is a better picture. Looks sweet! Tomorrow’s the day! Who’s coming? I'll be there. First time! See everyone in a few hours.